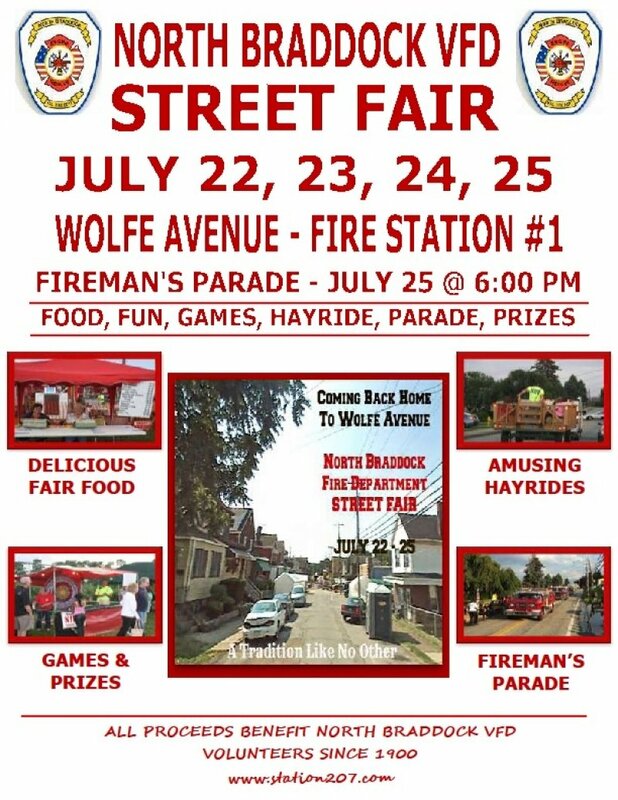 The North Braddock Fireman's Street Fair is coming back to Wolfe Avenue in front of the fire station! The dates are July 22 - 25. There will be food, fun, games, hayride, and much more. There will be a firemans parade on July 25 beginning at 6pm. The parade route will begin at Good Shepherd Church on Brinton Road in Braddock Hills and conclude at the street fair. More info to come as it becomes available!